At least 115 constituents in fresh and dried ginger varieties have been identified by a variety of analytical processes. Gingerols are the major constituents of fresh ginger and are found slightly reduced in dry ginger, whereas the concentrations of shogaols, which are the major gingerol dehydration products, are more abundant (Jolad et al. 2005) in dry ginger than in fresh ginger. At least 31 gingerol-related compounds have been identified from the methanolic crude extracts of fresh ginger rhizome (Jiang, Solyom et al. 2005). Ginger has been found to possess at least 14 bioactive compounds, including -gingerol, -gingerol, -gingerol, -gingerol,-paradol,-shogaol, -shogaol, 1-dehydro–gingerdione, -gingerdione, hexahydrocurcumin, tetrahydrocurcumin, gingerenone A, 1,7-bis-(4′ hydroxyl-3′ methoxyphenyl)-5-methoxyhepthan-3-one, and methoxy–gingerol (Koh et al. 2009). The proportion varies depending upon geographical areas. The University Of Maryland Medical Center cites several preliminary studies that suggest ginger may lower cholesterol and prevent blood from clotting. Stopping your blood from clotting can help people with heart disease, where blood vessels become clogged and lead to heart attack or stroke. High cholesterol can also lead to clogged arteries when the cholesterol builds up on the artery walls. Ginger may also help to lower blood pressure, another indicator of heart disease. The University of Michigan Health System informs that taking 10 g, or 1 heaping tsp., or more of ginger root per day can reduce platelet stickiness and help clear arteries of plaque. Taking either dry ginger or fresh ginger can affect blood platelets, but the dosage must be at least this much. Ginger contains more than 12 antioxidants and can help reduce serum cholesterol levels, improve circulation and lower the risk of blood clots, says the Herb Growing & Marketing Network. A study published in 2005 in the “Journal of Cardiovascular Pharmacology” found that ginger lowered blood pressure in controlled experimental conditions. Researchers investigated the cardiovascular effects of ginger on the blood pressure of different animals. Using crude extract of fresh ginger injected intravenously in rats, researchers found a dose-dependent fall in blood pressure. Further experiments in this research suggest that the blood-pressure-lowering effect of ginger is due to the blockage of voltage-dependent calcium channels. A study published in the “South Asian Journal of Preventive Cardiology” in 2004 with lead author S.K. Verma notes that ginger contains components with strong antiplatelet and antithrombotic properties, which helps prevent blood clots. 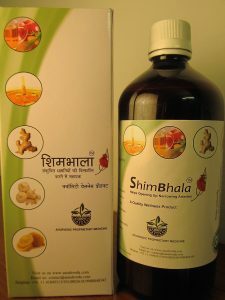 It also is a potent antioxidant and scavenges free radicals, harmful substances that might contribute to atherosclerosis. In the 2004 “South Asian Journal of Preventive Cardiology” study, participants took either 5 g per day of dry ginger or a placebo. After four weeks, the researchers evaluated the antioxidant effects on the oxidation of blood lipids, or fats. Consuming ginger was shown to have strong antioxidant properties for both healthy participants and those with coronary artery disease.